Constitution of India, 1950 – Arts 239, 239A & 239AA - Government of National Capital Territory of Delhi Act, 1991 - Transaction of Business of the Government of National Capital Territory of Delhi Rules, 1993 - Interpretation of - Ideals / Principles of Representative Governance - Constitutional morality - Constitutional objectivity - Constitutional Governance and the Conception of Legitimate Constitutional Trust - Collective Responsibility - Federal Functionalism and Democracy - Collaborative Federalism - Pragmatic Federalism - Concept of Federal Balance - Interpretation of the Constitution - Purposive interpretation - Constitutional Culture and Pragmatism - - Interpretation of Article of the Constitution - Status of NCT of Delhi - Executive power of the Council of Ministers of Delhi - - Essence of Article 239AA of the Constitution - Constitutional Renaissance. 20. It is submitted by learned senior counsel appearing on behalf of the appellant that the NCTD occupies a unique position in the constitutional scheme by virtue of the insertion of Articles 239AA and 239AB and the consequent enactment of the 1991 Act that has shaped the NCTD into a constitutional hybrid and has led Delhi to acquire certain special characteristics solely attributed to fullfledged States under the Constitution. As per the appellant, the Government of NCT of Delhi enjoys far more power than the administrative set ups of other Union Territories especially after the constitutional amendment and coming into force of the 1991 Act. 21. After expansively referring to the constitutional history of the NCTD, it is urged on behalf of the appellant that the insertion of Article 239AA was intended to eradicate the hierarchical structure which functionally placed the Lieutenant Governor of Delhi in a superior position to that of the Council of Ministers, especially with respect to the executive powers and the Lieutenant Governor has to be treated as a titular head alone in respect of matters that have been assigned to the Legislative Assembly and the Council of Ministers. 22. The appellant has alluded to the nineJudge Bench decision in New Delhi Municipal Corporation v. State of Punjab, (1997) 7 SCC 339 to contend that the Union Territory of Delhi is a class by itself different from all other Union Territories which our Constitution envisages, and the larger Bench had no occasion to decide in what shape and form the NCTD is different from other Union Territories, for the said issue did not arise therein. 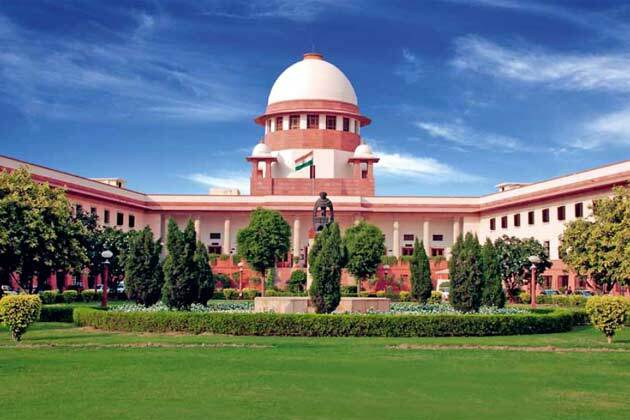 Nevertheless, the majority opinion clearly rules as regards Delhi’s unique constitutional status unlike other Union Territories by virtue of the constitutionally created Legislative Assembly, Council of Ministers and Westminster style cabinet system of government that have been brought by the Sixtyninth Amendment and the 1991 Act. 23. It is further submitted by the appellant that the SixtyNinth Amendment to the Constitution and the consequent 1991 Act were passed with the aim to give the citizens of NCT of Delhi a larger say in the governance of NCTD. Democracy being one of the facets of the basic structure of the Constitution, the Sixtyninth amendment was aimed at furthering democracy in Delhi and hence, Article 239AA should be interpreted in the backdrop of the fact that Delhi has been conferred special status among various UTs and in such a way that democracy in its true sense is established in Delhi. 24. It is submitted that constitutional jurisprudence in the Indian context has undergone a sea change after the decisions in R.C. Cooper v. U.O.I., AIR 1970 SC 564 and Maneka Gandhi v. U.O.I. AIR 1978 SC 597. Learned counsel for the appellant submit that this Court should adopt a more purposive and an organic method of interpretation as adopted by this Court in a catena of cases including the recent one in Justice K.S. Puttaswamy (Retd.) and another v. U.O.I. and others, (2017) 10 SCC 1 wherein the majority observed that the decisions of this Court prior to R.C. Cooper (supra) and Maneka Gandhi (supra) must be understood in their historical context. 25. Article 239AA has deliberately excluded the words "assist and advice" as were used in the 1963 and 1966 Acts, rather the said Article employs the expression "aid and advice" and, therefore, it consciously obviates the requirement of the Lieutenant Governor’s concurrence on every matter. Thus, it is the proponement of the appellant that Article 239AA of the Constitution which has conferred a Westminster style cabinet system of government for the NCT of Delhi makes the Lieutenant Governor bound by the 'aid and advice' of the Council of Ministers. To buttress its argument, the appellant has referred to the judgments in Rai Sahib Ram Jawaya Kapur and Ors. v. State of Punjab, AIR 1955 SC 549 and Shamsher Singh v. State of Punjab, AIR 1974 SC 2192 which, as per the appellant, though arose in the context of the State of Punjab, decided that since our Constitution has conferred a Westminster style cabinet system for the Government of State of Punjab, an executive Government established under the aegis of the Constitution should be able to exercise all executive powers necessary to fulfill the needs that the situation warrants and consequently, the Governor has to act in accordance with the aid and advice tendered by the Council of Ministers with the Chief Minister as its head. 26. It is further argued that GNCTD has the sole power to take executive actions on all matters on which the Delhi Legislature is competent to pass laws irrespective of whether or not the Legislature has actually passed a law on the subject. Emphasis is laid on the principle of collective responsibility to a democratically elected legislative body and, on that basis, it is proponed that the Lieutenant Governor of Delhi is bound by the aid and advice of the Council of Ministers of Delhi. It is put forth that such an interpretation can alone meet the purpose of constitutionally mandated governance in Delhi post insertion of Article 239AA in the Constitution. 27. It is the stand of the appellant that the extent of executive powers of the Government of NCT of Delhi can be understood by appositely juxtaposed reading of Article 239AA(3) with Article 239AA(4) which stipulates that the Government of NCT of Delhi has exclusive executive powers in relation to matters which fall within the purview of Delhi Assembly's legislative competence. Article 239AA(3) gives the Delhi Legislative Assembly the legislative powers over all except three subjects in the State List and all subjects in the Concurrent List and as a natural corollary, Article 239AA(4) confers executive power on the Council of Ministers over all those subjects in respect of which the Delhi Legislative Assembly has the legislative power to legislate. 28. It is asserted by the counsel for the appellant that Article 239AA preserves the Parliament's legislative powers over all subjects in the State and the Concurrent Lists, but no such executive power is reserved for the Union. The appellant contends that there is conscious difference between the language of Article 239AA(3) which gives overriding legislative powers to the Parliament and that of Article 239AA(4) which refrains from doing the likewise in the context of executive powers. The Centre's executive power stems from Article 73 and would normally be coextensive with the Parliament's legislative powers, but this is explicitly subject to other provisions of the Constitution which has to include Article 239AA. Thus, Article 239AA has, in the case of Delhi, whittled down the executive power of the Centre to only the three reserved subjects falling outside the purview of the executive power of the Council of Ministers of Delhi. 29. 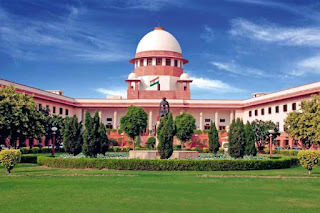 The appellant has argued that though Article 73 of the Constitution lays down the principle that there may exist under the Constitution concurrent legislative powers between the Parliament and the State Legislative Assemblies, yet there can never be concurrent executive powers between the Central and the State Governments as such a situation would result in chaos in the absence of any responsibility/accountability for executive actions. This principle, as per the appellant, must apply equally in relation to matters contained in List II and List III of the Seventh Schedule and the effect of Article 239AA(3) is that all matters on which the Delhi Legislative Assembly has power to legislate are effectively equivalent to matters of the Concurrent List. 30. Article 239AB would become redundant if it is to be accepted that the Constitution allows the Union Government to override all executive actions/decisions of the GNCTD in the ordinary course of things, as in such a situation, it would never be necessary to invoke the special provision in the form of Article 239AB for the Union Government to take over the administration of Delhi. Further, Article 239AB stipulates that if the administration of Delhi is not carried out in accordance with Article 239AA, the President may suspend the operation of any part or whole of Article 239AA. This, as per the appellant, clearly shows that when an elected government is in place, the administration of Delhi has to be carried out in accordance with Article 239AA. 31. After quoting Dr. Ambedkar on federalism in the Constituent Assembly Debates dated 25.11.1949, the appellant has contended that Article 239AA is an example of the hallmark of federalism in our Constitution which reserves legislative primacy of the Parliament in certain limited areas but there is no such corresponding provision in the Constitution which reserves the executive powers of the Central Government visavis GNCTD. 32. It is contended on behalf of the appellant that there is necessity for uniform and consistent interpretation of the phrase 'aid and advice' used in different articles of the Constitution such as Article 74, Article 163 and Article 239AA in the context of the functions of the President, the Governor and the Lieutenant Governor respectively. It is urged that the provisions of the Constitution being on a higher pedestal than ordinary statutory provisions require to be interpreted in a different manner and in view of the same, Article 239AA(4) deserves to be interpreted in a manner as other provisions of the Constitution and, hence, there is warrant for interpreting the phrase 'aid and advice' in a broad sense so that such 'aid and advice' is binding on the nominee of the President, i.e., the Lieutenant Governor. It would be an anathema to the constitutional philosophy to surmise that just because the Constitution permits a difference of opinion between the Lieutenant Governor and the Council of Ministers, the 'aid and advice' tendered by the Council of Ministers is not binding upon the Lieutenant Governor. 33. The appellant has further submitted that under Article 239AA(4), the Government of NCT of Delhi and the Council of Ministers of the NCT of Delhi have exclusive power over all matters in relation to subjects under List II (excluding Entries 1, 2 and 18 thereof and Entries 34, 65 and 66 in so far as they apply to Entries 1, 2 and 18 thereof) and List III of the Seventh Schedule. According to the appellant, the substantive part of Article 239AA(4) itself lays down the exception to it, i.e., when the Lieutenant Governor is to act in his discretion under the law and not as per the advice of the Council of Ministers. The proviso to Article 239AA(4), as per the appellant, comes into play where the 'aid and advice' of the Council of Ministers transgresses the areas constitutionally prescribed to it and the proviso does not allow the Lieutenant Governor to have a different view on the merits of the 'aid and advice' that has been tendered by the Council of Ministers. According to the appellant, the proviso to Article 239AA(4) operates only in exceptional situations and is not a general norm. Any attempt to expand the scope of the proviso beyond exceptional matters is not tenable as it would have the effect of rendering the main part of Article 239AA(4) otiose. To rely upon the proviso to Article 239AA(4) to say that the 'aid and advice' of the Council of Ministers is not binding upon the Lieutenant Governor in areas in which the Delhi Legislative Assembly has competence to legislate would defeat the purpose for which institutions necessary to operationalize democracy in Delhi were created. It is submitted by the appellant that the 1991 Act as well as the Rules themselves cannot be used to interpret the constitutional provisions inasmuch as they only reflect the scheme of governance.